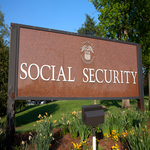 It goes without saying that the majority of disabled Americans rely heavily on federal assistance programs such as Social Security Disability Insurance (SSDI) and Supplemental Security Income (SSI). Those with debilitating conditions often require many things that a healthy adult would not, so it is probably fair to say that every penny counts. It turns out that if two people get married it can affect the benefits that one receives, or the two receive if they are both disabled. However, if two of them were to just live together but not get married the benefits would stay the same. However, it is against some people’s religious beliefs to live together before marriage which, naturally creates a problem. Such is the case for Sherri Daniel and Bill Adams, who would like to marry, but cannot afford to do so under current laws, The Columbus Dispatch reports. The two are both disabled and rely heavily on federal assistance. Ms. Daniel has a two conditions, spinal stenosis and achondroplasia (a form of short-limbed dwarfism), for which she receives SSI benefits. Mr. Adams has cerebral palsy, for which he collects Social Security Disability Insurance. If the two were to wed, their benefits would be in jeopardy, making it next to impossible to get by in life. Their beliefs do not permit them to live together before marriage, which means that they can neither live together or afford to get married. Here is a short video where you can meet Sherri and Bill. Please take a moment to sign the petition, here.